Yes! It’s messy. Yes! 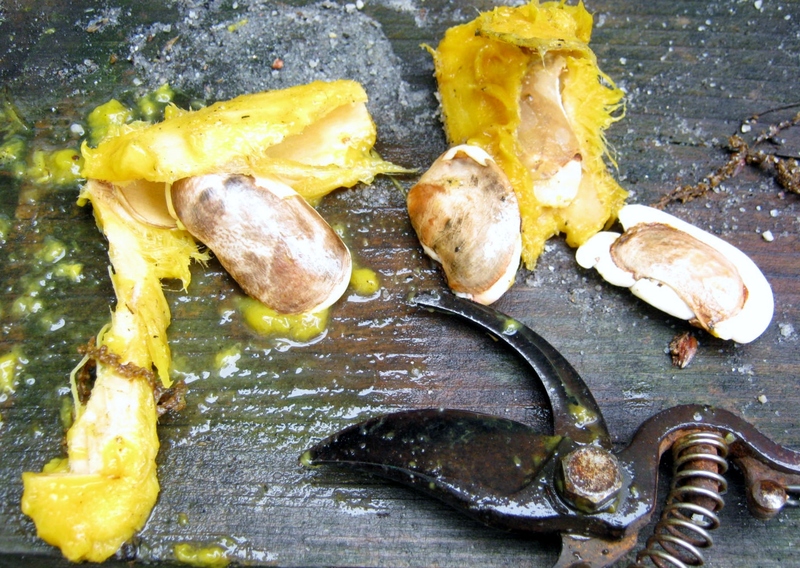 If you’re not careful you might slip and cut yourself or the seed you are trying to extract from the Mango pit. 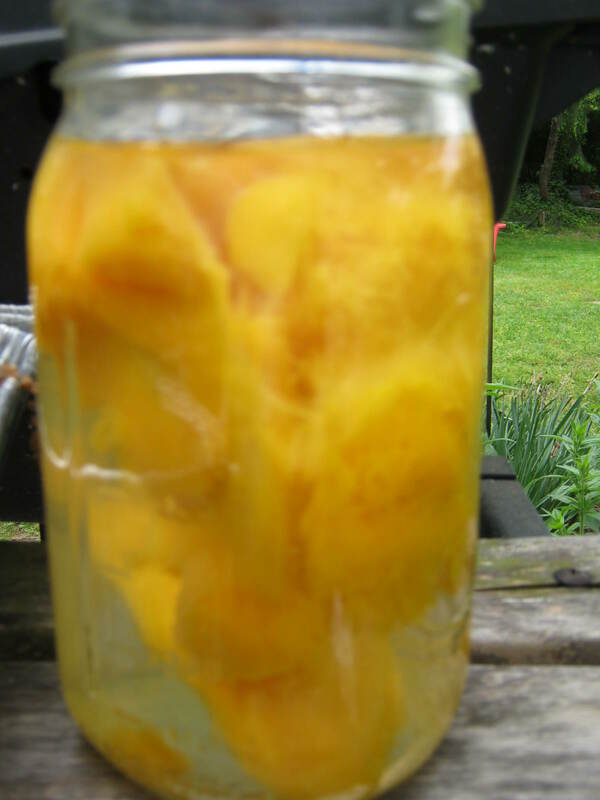 Here’s how I prepared my mango seed for planting. 1. Find and enjoy a delicious and ripe mango. The variety I planted was a Champagne Mango. In my opinion the most delicious type of mango I have ever eaten. 3. After soaking, I snipped a bit of the pit side with my pruning sheers, then zipped the edge away. I’ve also seen videos where people have cut the side of the mango with scissors. Either way, once cut or zipped, you must open the mango with your fingers. Be careful not to nick or harm the tender seed inside. 4. I once again soaked the husked seeds and then potted them up in potting soil. I have seen Youtube videos that tell you to plant the pit and wait for it to split and grow. This would be the more natural approach. I am hoping to jump-start the growth by removing the pit first. Problem-Solving – Critter Wars Part ??? Good Luck with your seeds. Hi, I was just wondering how I should germinate a mango seed. I have planted two within the last two weeks, but have noticed mold has built up on the seed. I planted the seed in compost, and then placed in a bag, and put it on the bathroom floor, directly above the heater down stairs. 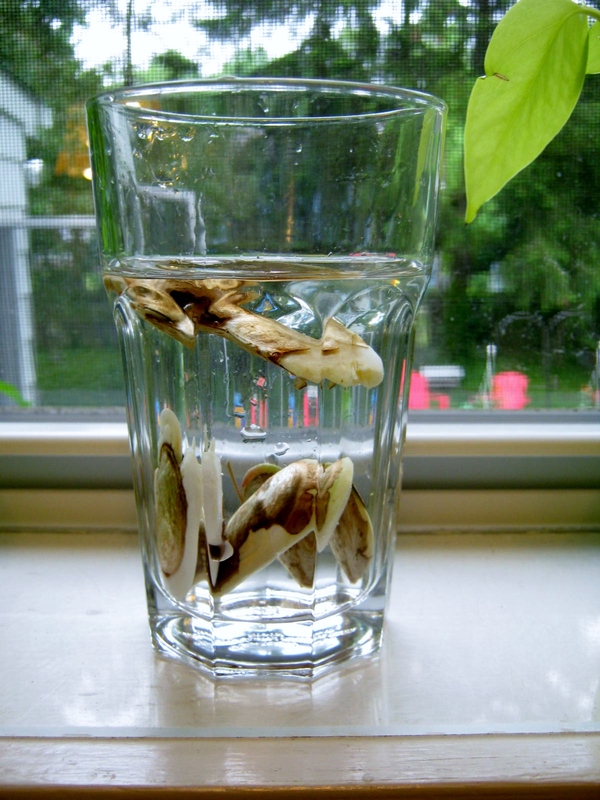 I am thinking about trying the Avocado water method, and also cracking or cutting the seed open to get the pit out. How did you germinate yours? Thanks in advance. Josh. Hi, I removed the pit to get to the seed. I’m not sure if you did that. I think it is a matter of waiting for the seed to sprout. Give it a few more weeks, and if it has rotted away…try again with a fresh seed. Hi for how many days you leave the pit. on water ? and often you need to change the water.. thanks sorry .?? Oh sorry if you received a strange reply, when I first read your question I assumed you were speaking of an avocado. I’m not sure, it’s been a long time, but I think if I tried this again I would put the seed directly in the dirt and not necessarily take it out of the shell. The little tree never did that well for me and I think I might have stunted its growth in some way. I think this is one of my posts I need to update. Thanks so much. If I have accidentally damaged the seed SLIGHTLY while removing it from the seed what are the chances of success? I would try anyway…especially if it is slight damage.